An historic plaque records: Alexander Speers purchased land here in 1876. 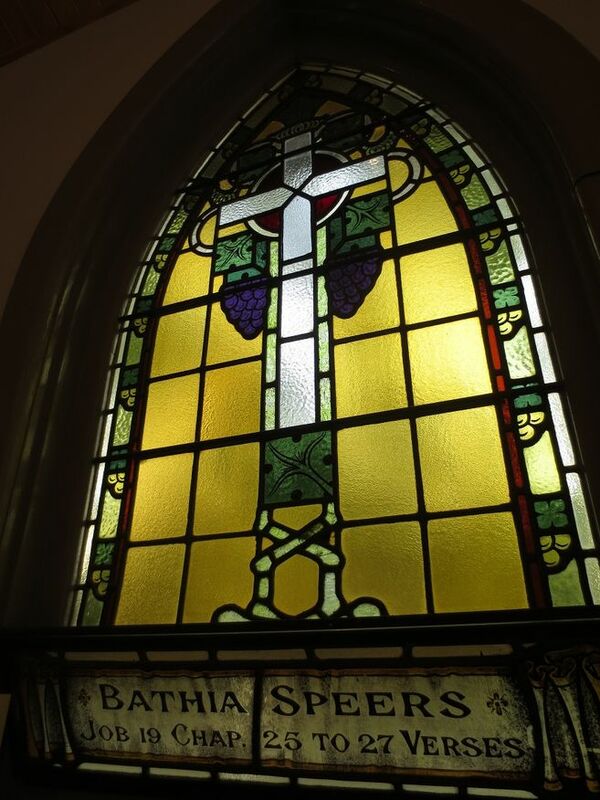 His wife Bathia Speers, inherited in the propery in 1889 and donated the land for religious purposes. She is commemorated in a window in the chapel. 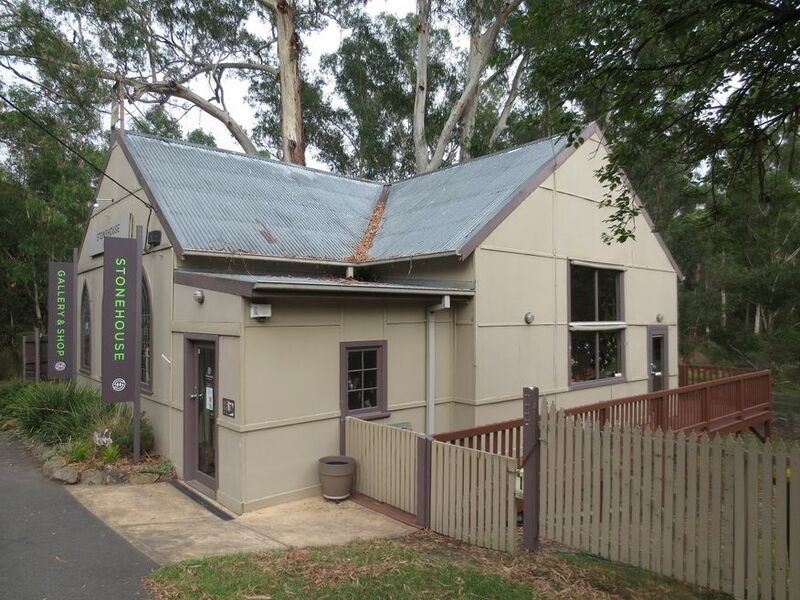 - The Gospel Chapel was built about 1950 on the site of the Presbyterian Church, which burnt down in the 1939 bushfires. Its simple form and the materials used highlight the shortage of resources following World War II. 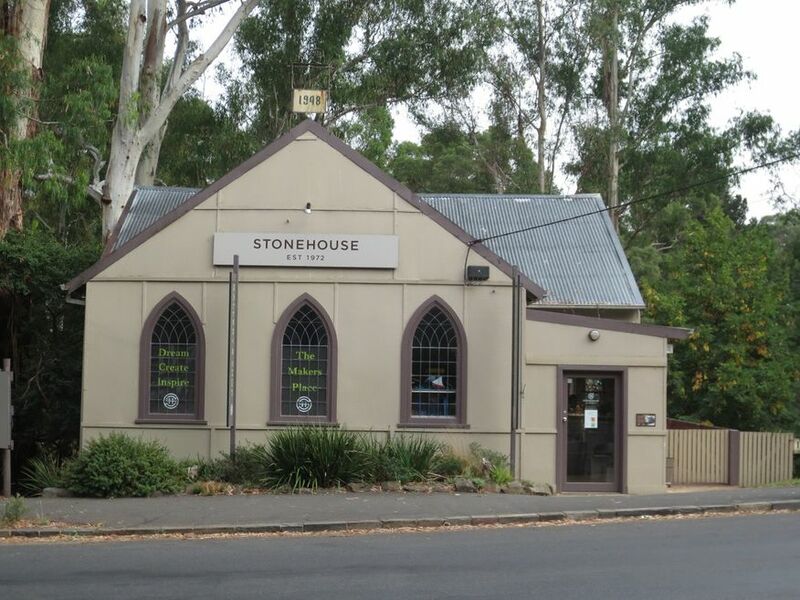 Decorative features include Gothic style windows and belfry - Warrandyte Historical Society. The former Gospel Chapel property is now privately owned. In addition to the Mrs Speers memorial window, others commemorate former Sunday School teachers and pupils. An external painted plaque on the belfry records: '1948'. No other details are known about the former chapel. More historical information/photographs of the former chapel/congregation are invited. Photographs uploaded 19/3/2018.